A couple of weekday afternoons spent at several Colorado dispensaries confirms the picture the numbers paint. Nearly all the patients were male, a large majority in their 20s and 30s. Figures from other states, though less comprehensive, match Colorado's. Brian Vicente shrugs off the numbers. Young men are more likely to work the kind of jobs that result in chronic pain, he says. "All this really shows is that pain is more prevalent in society than AIDS and cancer." Pot affects different people differently"We're all our own walking chemistry experiments," Robinson likes to sayand for many patients, smoking it or eating it will quickly relieve pain, nausea and muscle spasms associated with chemotherapy and MS. Studies have demonstrated beyond quibble that marijuana has some effectiveness in mitigating severe pain. Unfortunately, only clinical tests can show which of marijuana's 108 active compounds cause which of its many effects, and because the balance of compounds shifts from plant to plant, dosage is nearly impossible to control when the medicine is consumed in its botanical state. Even activists now concede that marijuana is addictive for 10% of regular usersmaking it less addictive than alcohol (15%) and much less addictive than cigarettes (32%), which are, they point out, perfectly legal. Marijuana unquestionably causes cognitive impairment; nobody would smoke it for fun otherwise. Loss of memory and a decline in decisionmaking ability are the most pronounced effects, data confirmed anecdotally and by Cheech and Chong movies. How long the impairment lastswhether a month or a lifetimeand to what degree are open questions. Use of marijuana has been linked clinically to the onset of depression, anxiety and schizophrenia; the link is especially strong in younger users and stronger still in young men with a predisposition to mental illness. At the same time, budtenders and dispensary owners alike extol pot's bounteous ability to heal in language that is part Diagnostic and Statistical Manual, part Whole Earth Catalog. Forget migraines and insomnia, back pain and lack of appetite: pot is routinely sold as a cure for irritable-bowel syndrome, Tourette's, muscular dystrophy, herpes, diabetes, gonorrhea, bulimia, eczema andoddly enoughboth obesity and weight loss. Andrew Weil, the alternative-medicine doctor and holistic-healing guru, suggests marijuana might cure cancer. And what, a layperson might impolitely ask, about the buzz? Hearing tales of pot's medicinal powers, you would think it was the last thing on anybody's mind. Budtenders will even use air quotes when they speak the word high to nonpatients, as though the stoner effects were an elaborate urban myth. Yet among patients, it's often hard to disentangle the curative and palliative functions of marijuana from the desire to get, if you'll forgive the expression, high. Typical are these patient testimonials from a website run by Montana Caregivers Network: the RomSpice variety, says one satisfied customer, "is the strongest body high I've ever felt. It literally makes my whole body feel numb and tingly. I give it a 12 out of 10 for pain." About AK-47, another testifies, "A more 'active' high, pretty decent munchie factor after a few minutes and a very pleasant mental haze. 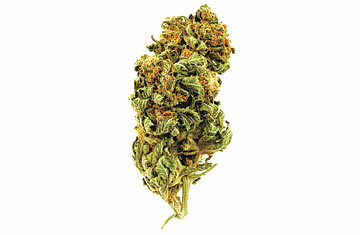 Pain relief is definitely also a good plus with this one." Here the recreational and medicinal are so balled up that one begins to look like an excuse for the other. Nobody would dare talk this way about Percocet. See how people learn to grow medical marijuana. See a brief history of medical marijuana.